It’s the first victory for the French president. Emmanuel Macron, who made the reform of posted workers one of the priorities of his plan for a European reform, was yesterday’s winner. Posted work allows a national of one European country to work in another state while remaining affiliated with the social system in force in his or her country of origin.The issue has highlighted the tensions within the European bloc related to the problem of unfair competition, particularly since the 2004 enlargement to Eastern Europe. In France, one of the main host countries for posted workers, the revision of the European rules governing this practice has become a symbol of Europe’s ability to protect citizens and the economy against social dumping. And one of the campaign promises made by Emmanuel Macron, who welcomed the compromise reached. “Reforming the Posting of Workers Directive is essential to enable the European Union to return to the path of economic and social convergence from above, for the benefit of all Europeans,” said Nathalie Loiseau, the minister in charge of EU affairs. 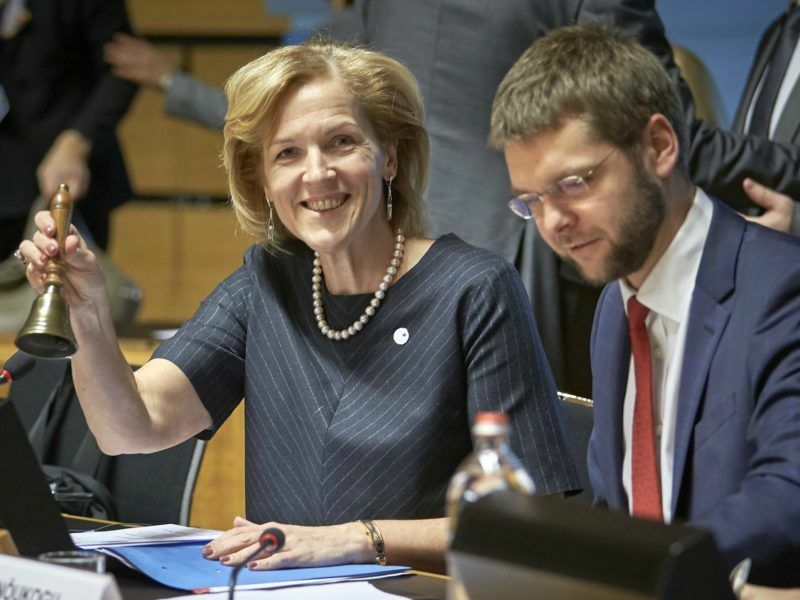 Meeting in Luxembourg, the 28 labour ministers already had a compromise on the negotiating table but some points remained to be finalised, notably on the maximum duration of secondment. It was a sticking point for Paris, which demanded a limitation to 12 months while the European Commission’s proposal was based on 24 months. It is this very question that had derailed an agreement obtained in June. In the wake of his election, Emmanuel Macron rejected the proposal, which offered a maximum period of 24 months. The French U-turn then antagonised a number of countries that were in favour of the proposed period, including Poland. The French victory over the secondment period, however, was accompanied by some concessions, notably on the date of entry into force of the text, as well as on the transport sector. While Paris defended a delay in applying the two-year period, several countries called for a transitional period of five years. The final compromise endorsed a period of four years, which pushes the application of the text to at least 2021. Another amendment is the exclusion of road transport. Elements that irritate Green MEP Karima Delli. “Social Europe is not a map of sectors! I do not accept the concession made on transport”, said the MEP, who recalled the slavery-like conditions of certain truck drivers, forced to live and sleep in the motorway car parks. The subject is now referred to the mobility package on which the European Commission is working. 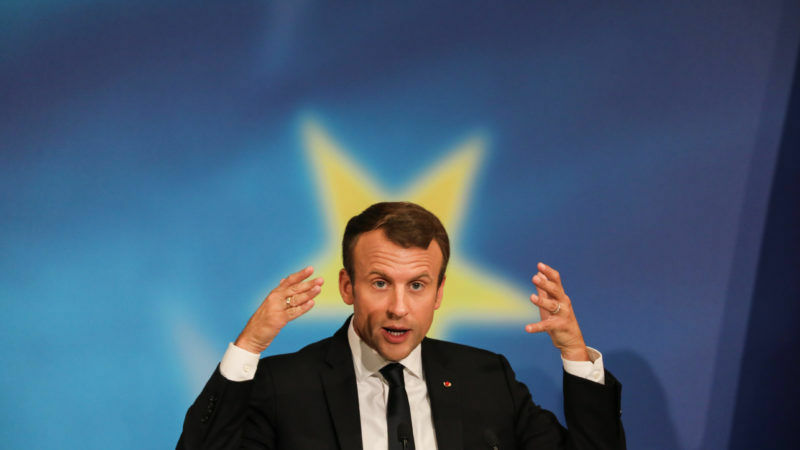 Emmanuel Macron met with Spanish leader Mariano Rajoy at the last EU summit in Brussels on October 20 to try to convince him of the need to include this sector in the framework of the new directive. But on this aspect, Spain and Portugal have joined the position of the Eastern countries, which called for a specific text taking into account the mobility issues of the sector. The final agreement thus provides that the new directive does not apply to the transport sector until an agreement on the ‘mobility package’ is reached. In the final vote, only a handful of countries voted against the compromise: Poland, Hungary, Lithuania, and Latvia. Several Eastern European countries hostile to the position defended by Paris finally aligned themselves after the negotiations (Romania, Bulgaria, Slovakia, Czech Republic), allowing the text to be adopted by a qualified majority. The agreement must now be finalised between the Council and the Parliament, which adopted its position on the dossier on 16 October. Emmanuel Macron, who has engaged a large part of his political capital on this issue, will now have to keep up the momentum. After the speech at the Sorbonne, the French president has presented a long list of reforms at European level: a tax on financial transactions, reform of the eurozone, transnational lists, and taxation of digital companies. So many dossiers on which he will have to win over his European partners. EU ministers yesterday night (23 October) struck a compromise after marathon talks about low-cost labour from Eastern and Central Europe, a decision affecting workers posted temporarily to more affluent bloc members. Why not the E.U. 12 in a real Unit instead being oppressed by the other not willing to go for . A disaster with Balkan states inside non compatible sectors . Mr. Macron is doing his work but the lack of a federal administration makes it impossible this kind of EU to be managed properly and we are seeing it . Most are tired with their business as usual à l’allemande ….